Cold Dude Computers: Club Penguin Adding Another Language? Club Penguin Adding Another Language? There are two buttons asking if you would like to be on the French or Dutch part of the site. 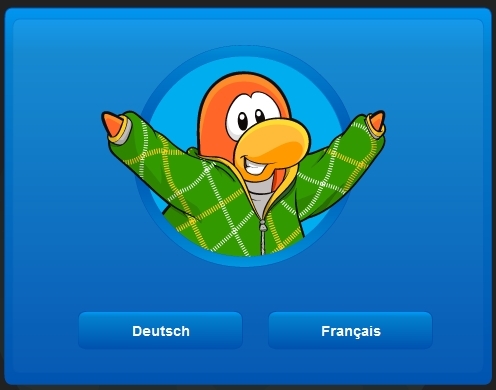 However when you go to clubpenguin.com/ch/ WITHOUT the last character and it will direct you to the French part of the site without any popup. When I saw this popup I went to the Elements of the page and looked through the pictures and found out that it was called swiss-bg.png. But I don't get why Club Penguin abbreviated it to ch. Most people would think that Chinese would be ch but Chinese is cz. What do you think of all of this? Leave a comment and let us know!